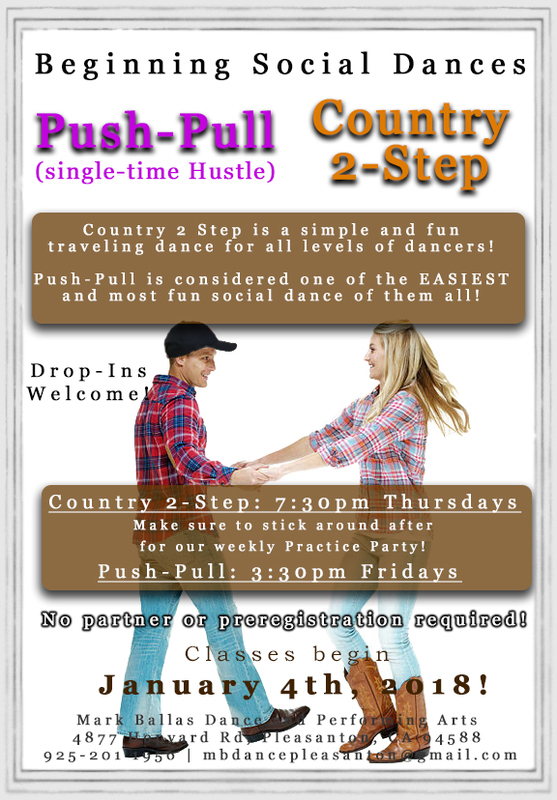 7:30 PM: Level 1 Country Two Step $20 Per Class $30 Per Couple $15 for Seniors (55+) $10 for College Students (with ID) Ask the Front Desk about our Group Class Passes! Get discounts on our classes when purchasing in bulk! Join us at Mark Ballas Studios for Country Two Step every Thursday in January. Country Two step is a simple and fun traveling dance for all levels of dancers!